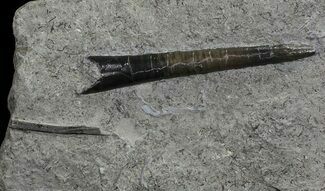 This is a very beautiful fossil belemnite (Belemnites Paxillosus) and Parkinsonia ammonite association, collected from Sengenthal, Germany. 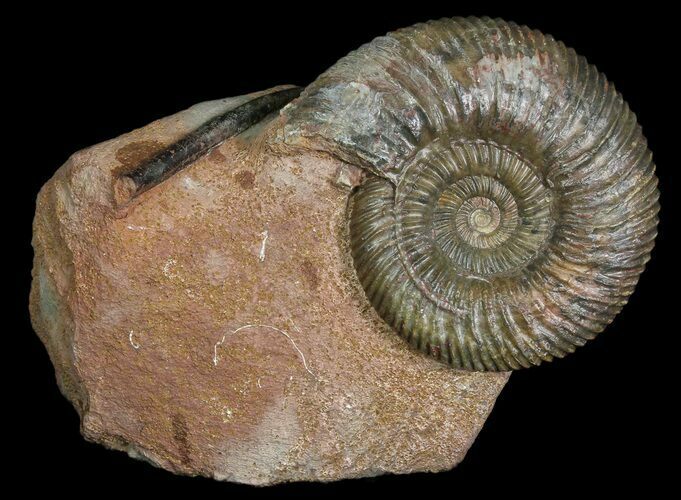 Both fossils are still partially embedded in the rock from which they were removed. The base of this rock is flat and allows for aesthetic presentation without the assistance of a stand. 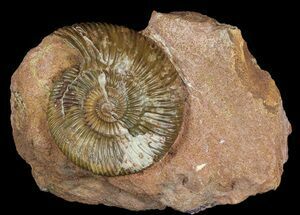 The ammonite is 3.7" wide and the belemnite is 2.6" long. 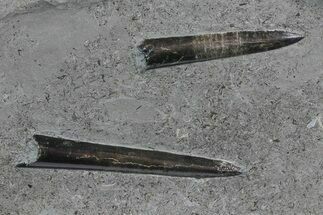 Belemnites are probably the most well known extinct cephalopod after the ammonites. 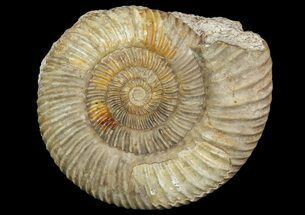 They lived during the Jurassic and Cretaceous periods and are fairly common fossils found throughout the world. 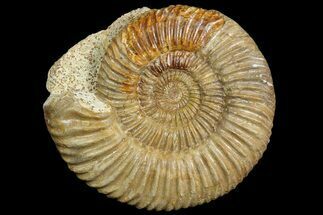 They had a hard, internal, cone shaped structure that is often preserved as a fossil though it is not technically a shell. They had 10 arms but unlike modern squid these arms had small hooks instead of suckers.